Home » Everyday , Health , News » THESE 4 Fruits Have The MOST Toxic Pesticides. Avoid Them! When trying to keep the grocery bill down, organic produce can seem like an indulgence you just can’t afford. It’s true—in most cases, you pay more for fruits and vegetables raised with the extra care it takes to protect plants without chemicals. But what are you really bringing home with those savings? Chemicals known or suspected of causing cancer, harming the brain, and interfering with growth and development—not to mention killing off bee colonies that pollinate the plants in the first place. "According to a survey by Consumer Reports, 85% of all Americans are concerned about pesticides in their food. If you’re among that number trying to avoid pesticides, I’m sorry to say that you’ve got your work cut out for you. The stuff is everywhere –even on supposedly ‘organic’ produce." 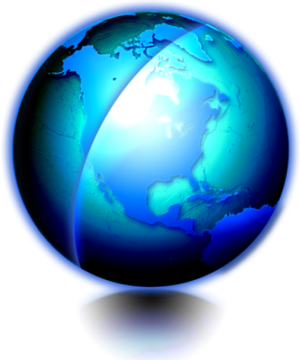 The good news is that you can protect yourself with some key pieces of information. First, make sure you know which produce to keep an eye out for. Not all fruits and veggies are sprayed with the same amount of chemicals. Luckily, the Environmental Working Group’s 2016 report is out and it’ll make identifying the biggest risks a doozy. We’ll also be calling on research from WhatsInMyFood.com, which contains hard facts on the exact pesticides found in each food. Ready? 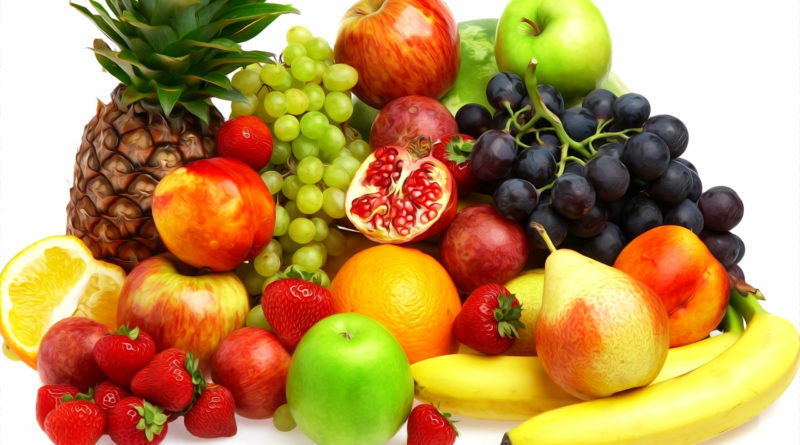 Here are the 4 worst fruits for pesticide contamination. According to the Environmental Working Group (EWG), strawberries in California – where most U.S. strawberries come from – are sprayed with a truly staggering 300 pounds of pesticide per acre. What’s more, 98% of all strawberries the EWG tested contained pesticide residue. One of those chemicals goes by the name of methyl iodide. It causes cancer, brain damage and miscarriages. 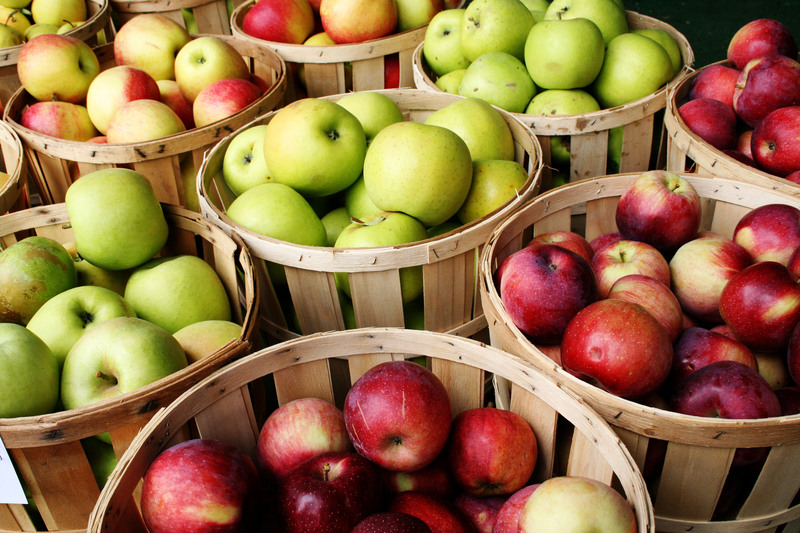 An apple a day keeps the doctor away – unless, of course, you’re eating non-organic apples. In that case, an apple a day keeps the doctor employed and increases your risk of cancer and brain damage. Research has turned up more than 45 different pesticide residues on apples. Many of those pesticides are toxic to not only humans but animals like bees as well. Nectarines are particularly bad when it comes to pesticides because of the fruit’s spongy nature.Over 30 pesticides hang out on nectarines.5 are carcinogens, 17 are suspected hormone disruptors, 9 are brain-damaging and 6 cause developmental and reproductive damage. According to the EWG report, nectarines had the highest actual (as opposed to relative) volume of pesticides of any fruit or vegetable. 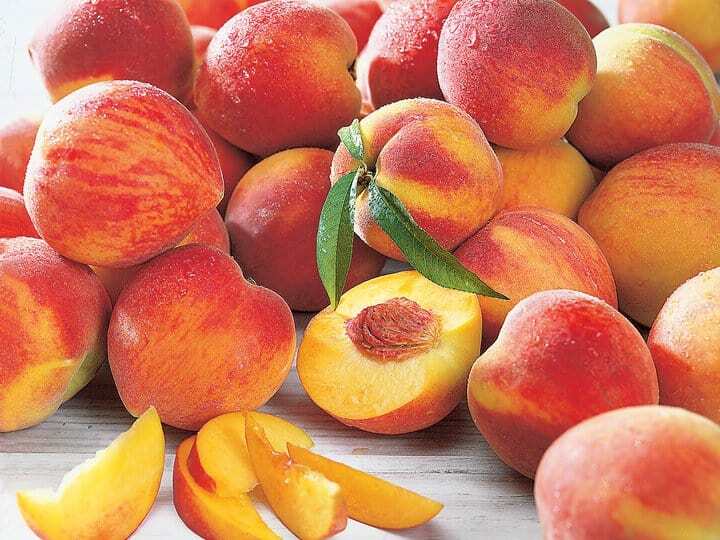 As with nectarines, peaches’ texture and consistency makes it very easy for pesticides to work their way deep inside. A staggering 62 chemicals do just that. 20 of those chemicals harm honeybees while 8 are carcinogens, 24 are likely hormone disruptors, 12 are neurotoxins and 9 cause developmental/reproductive damage. So, now that we’ve got step #1 out of the way and you know the worst of the worst, let’s talk about how to actually protect yourself. Buying organic is a start. As I mentioned earlier, though, it’s not going to save you completely. Hop on over to this post to learn 5 effective ways to wash your produce free of pesticides. For more information on the produce with the highest pesticide levels, check out this article or the video below.